A Manitoba senator says a proposal by Alberta's United Conservatives to pick up the legal tabs of pro-pipeline First Nations is an example of age-old "divide-and-conquer" tactics. UCP Leader Jason Kenney touted the proposed legal fund in a speech at the Energy Relaunch conference in Calgary last Thursday, as part of his party's multi-pronged "fight-back strategy" against anyone wishing to shut down Alberta's energy sector. "His approach is nothing new," Sen. Murray Sinclair, Manitoba's first Indigenous judge and chairman of the Truth and Reconciliation on residential schools, told The Canadian Press. "It's very typical of the way governments have approached the issue of Indigenous people in the past, and that is to foment division and to ensure that those who are on the side of whatever government policy is at issue or whatever corporate interest is at play are the ones that get the corporate money or get the government money." 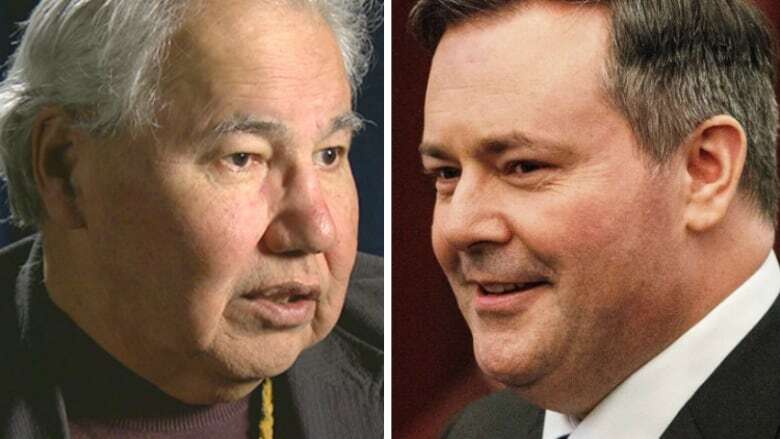 In his speech, Kenney said Indigenous people in favour of natural resource development are often at a disadvantage compared with those working with well-funded environmental groups. "If I'm premier, we'll be writing cheques to allow them to go to court," he said. "We'll be supporting pro-development litigation." Indigenous entrepreneur Calvin Helin — who has proposed a $16-billion oil pipeline between the oilsands and the northern British Columbia coast — thinks the litigation fund is an "excellent idea." "You have First Nations people who often are natural resource rich but cash poor. They don't have money for stuff like this. How do we compete against American foundations?" Helin, president of Eagle Spirit Energy Holding Ltd., said a council of 35 chiefs and mayors along the proposed pipeline's route are fed up with environmental groups coming into their communities and dictating how they should look after their people. He said First Nations have been stewards of the land for thousands of years, but must also find ways to fund social programs and ease economic hardship. "They really resent ... these fly-in celebrities interfering in their traditional territories and interfering in their communities by basically hiring local people to be props and puppets for their opposition to most development," Helin said. Eagle Spirit's chief council has set up a GoFundMe campaign for a legal fight against federal legislation banning tankers from B.C. 's north coast. It's raised less than half of its $100,000 goal. "In a lawsuit against the cashed-up federal government, that's not going to take you very far," Helin said. An expansion to the Trans Mountain pipeline between Edmonton and the Vancouver area remains in limbo following a Federal Appeal Court ruling in August that quashed its approval. The ruling requires Ottawa to consult more with affected First Nations and to do further study on the impact of increased tanker traffic. Sinclair wonders whether the government will "still run roughshod" if no amount of consultation can sway some First Nations. "The indications I'm getting is that they might be willing to try to do that, but whether they'll be able to do that is another question." Sinclair said compromise is possible, including moving the project's end point away from Vancouver. "Everything needs to be on the table and those that are advocating for the pipeline need to look at all options," he said. "The communities that are supportive of the pipeline need to be respected in their decision, but the ones who are not supportive of the pipeline also need to be respected. "The question becomes, then, what's the alternative? And if the alternative is finding a way that doesn't harm their interests, then let's find it."